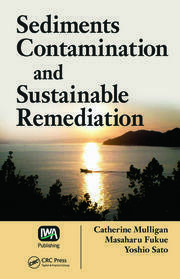 Phytotechnologies: Remediation of Environmental Contaminants highlights the use of natural and inherent traits of plants and associated microbes to exclude, accumulate, or metabolize a variety of contaminants, with the goal of efficiently and sustainably decontaminating the biosphere from unwanted hazardous compounds. Contributed by an international team of authors, the book ensures a balance between theory and practice without compromising the basic conceptual framework of Phytotechnologies. 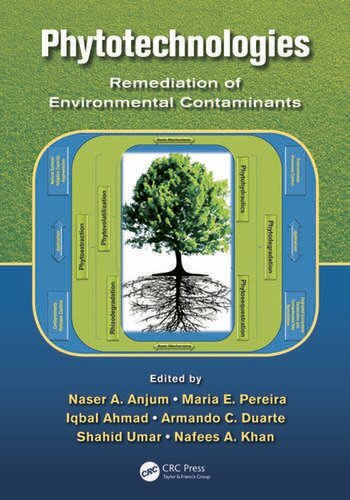 A one-stop source of cutting edge answers and time-saving access, Phytotechnologies: Remediation of Environmental Contaminants is a common platform for engineers, environmental microbiologists, plant physiologists, and molecular biologists with the common aim of sustainable solutions to vital environmental issues. 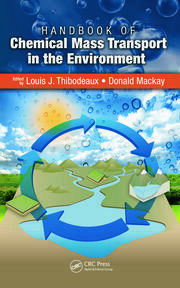 In short, the book provides a conceptual overview of ecosystems approaches and phytotechnologies, and their cumulative significance in relation to various environmental problems and potential solutions. Naser A. Anjum, Iqbal Ahmad, Maria E. Pereira and Armando C. Duarte are affiliates of the Centre for Environmental and Marine Studies (CESAM) and the Department of Chemistry at University of Aveiro, 3810-193 Aveiro, Portugal. Shahid Umar is associated with the Laboratory of Plant Stress Physiology and Biochemistry, Department of Botany, Faculty of Science, Hamdard University, New Delhi – 110 062, India. Nafees A. Khan is an affiliate of the Division of Plant Physiology and Biochemistry, Department of Botany, Faculty of Life Sciences, Aligarh Muslim University (AMU), Aligarh – 202 002, U.P., India.